A lot of improvement work is going on in schools today, and many education professionals are starting to feel the crunch of it all. The crunching feeling isn’t surprising. All those improvements require significant infrastructure to operate (i.e., professional learning time and capacity, coordination, extra staff, etc. ), after all, and infrastructure is finite. If multiple improvement initiatives have been introduced over a period of years, the space for “one more thing” simply may not exist. Worse, the stacks of improvement initiatives can overwhelm and/or confuse frontline staff with their new (and sometimes competing) practical principles and expectations. In all, then, it’s a good thing when educators get cautious about adding “one more thing.” They recognize their sites’ growing levels of initiative fatigue, and they’re tapping the brakes like they should. Because when everything’s made a priority, remember, nothing ends up being a priority. We recommend that you approach your school’s SEL work in a similar “brake-tapping” manner. More specifically, we recommend that you rationally, realistically, and strategically prioritize the area(s) of students’ SEL you wish to improve, then design improvement actions (and professional development, monitoring, etc.) in accord. 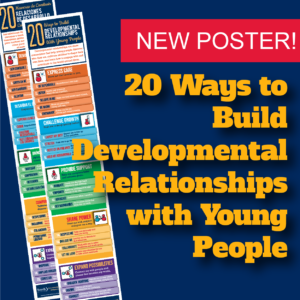 SEL is an expansive and varied universe, after all, including everything from goal-setting to social-engagement skills to ethical responsibility. So as not to overwhelm, and so specific practices can ultimately be designed, we recommend that schools’ SEL leadership groups narrow that universe down very early in their SEL initiative. In other words: If you’re going to be introducing “one more thing” for practitioners to do, make darn sure that one thing is (1) easy for practitioners to see and (2) necessary for your school to be improving on. This is all made a bit easier in the work Search Institute does with schools, of course, as the schools we work with bring us aboard expressly to get more intentional about a specific SEL quality, academic motivation. (And even within academic motivation, we ask schools to drill down even further using data from our REACH Survey. Humans’ motivation is complex, after all. For more on measuring to prioritize, see this series’ next installment.) If you haven’t done this, though, and are generally “doing SEL better” or “creating a healthier school climate,” we urge you to zoom in on something more specific. The clarity of focus should make all subsequent improvement steps–from choosing PD content to defining and communicating desired practices–go much more smoothly. Even better, though, make sure your priority-focus discussions include (at least) some analysis of objective data. Great as our guts and our instincts may be, after all, we always want to be making our improvement decisions based on the truth, not just our truth. 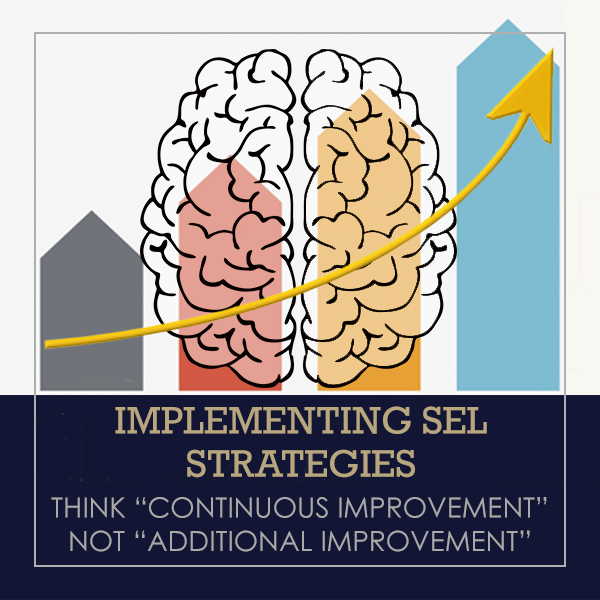 For more on using measurement to set SEL priorities, see the next post in this series…coming soon! 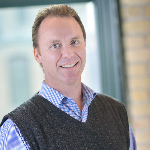 Eric Kalenze is the Director of Education Solutions at Search Institute. His career in education has included posts in teaching, coaching, administration, and consulting. He is the author of the 2014 book Education Is Upside-Down: Reframing Reform to Focus on the Right Problems, and he regularly contributes pieces about education practice, research, and reform to publications like Education Week, Education Post, The Hechinger Report, and TES US, as well as to his blog, ‘A Total Ed Case’.